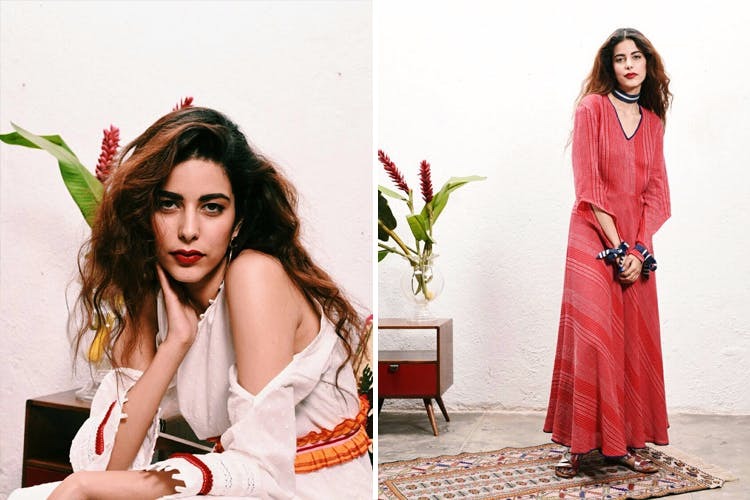 JODI, a contemporary womens wear label based in Delhi is forever on our shopping wishlist, and we thought it’s time we let you in on them too. The duo Gauri Verma and Karuna Laungani founded JODI and added playfulness to wearing Indian textiles. All the prints used are handcrafted with love, mostly using hand-block printing as their tool to create patterns, uniquely JODI. Bardot dresses, peasant dresses tied with string, tie up tops, button down shirts are some of their signature styles, and their collections till now have been versatile, ranging from one based on Pondicherry, to a Flintstone & Cornflour collection. Often they use a combination of two distinctive patterns which look like they will not belong together, but used right, fit like pieces of a jigsaw puzzle. Their collections are available on their website. The prices are little on the higher side, but the one dress you get from their label will soon become the favourite thing hanging in your wardrobe. Psst – there’s also an adorable JODI mini collection you can get for your niece. Just another reason to shop, maybe?